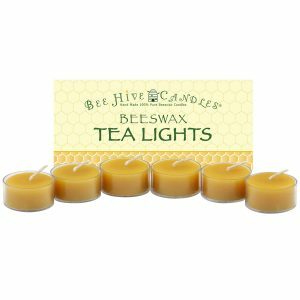 Our clear cup tea light beeswax candles make perfect additions to many of the small places around your home: bathrooms and kitchen to name a few. After the tea light is fully used, the clear cups are recyclable. I love my Beeswax Tea lights. It’s so nice to have candles that are not toxic to the environment. Great product. My second order from the company. Fast shipping. These are the best candles ever! I highly recommend these healthy and beautiful tea light and taper candles. I love these healthy candles! They are the best, other candles give me a headache. I will never buy any other kind and my order came in quickly. These tea candles burn cleanly and for a LONG time. I have received several boxes of these in the past absolutely zero complaints. For some reason this time around, the candles are not burning all the way to the bottom. I have used about a dozen and they either leave wax at the bottom and/or side of the plastic cups. Hopefully this “glitch” is not the new norm, because I love these candles! The tea lights should be as perfect as ever, we’ve tested the recent batches and didn’t notice anything out of place. If you continue to have issues, let us know and we’ll replace them. A little remaining wax is normal, but excessive wax remaining isn’t (a picture helps tremendously here, if you have time to send us one!). – Burn tea lights for 1 hour or more per session, long enough so the wax melts out to the side of the tea light cup. 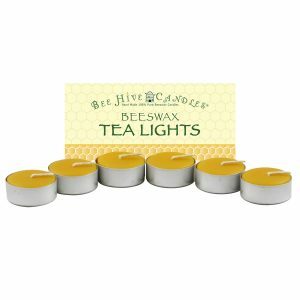 – Ideally a beeswax tea light candle will burn best if left to burn entirely during one session; this will help achieve it’s maximum burn time. – If the tea light candle has already used up more than half of it’s wax, let it burn out completely as you will not be able to relight it if you extinguish it and will usually end up with left over wax. You can find these and more tips on our burning tips page if you’d like to learn more. I want tea lights that last and don’t have a horrid toxic smell. These fit the bill every time! I have been caught sniffing the box they arrive in. Nice clear cups so that I can place them in my crystal candle holders and all you see is the nice warm glow. I’m a long time, repeat customer. I use these daily and not only do they burn well, they have a very slight honey fragrance that makes me want to climb in the box! Always boxed well, always burn completely and I love being able to then recycle the clear cups. So don’t waist your money on cheap candles! I have been buying these candles for years. They are the best! 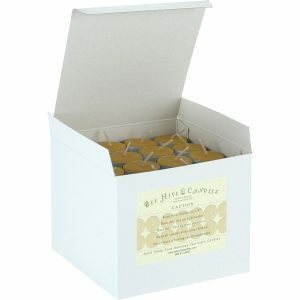 I have tried other company’s beehive candles, but the candles from Bee Hive candles are simply the best! I have been ordering them for quite some time now, and I have never had any problem at all. Along with the fact that they burn excellently, they come packaged very professionally. 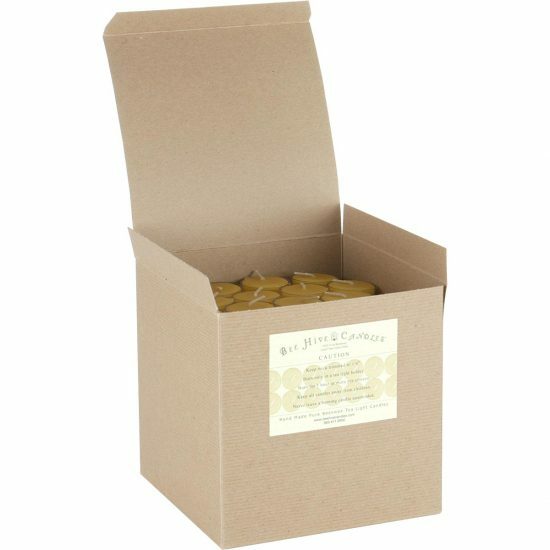 I have been purchasing candles from Bee Hive for year. I’ve purchase both the clear cup and aluminum cup tea lights — both are excellent — they burn completely down — no waste. I’ve have also purchase the votive candles — again, an excellent product.